Use this 2 part Carbonless detailed Excel Report to track your employee’s expense. this package contains 50 forms (8.5 x 11) for your expense report management. The original copy is white and the duplicate is canary yellow. This carbonless expense report contains areas for transportation, meals, entertainment, and miscellaneous expense by each day! 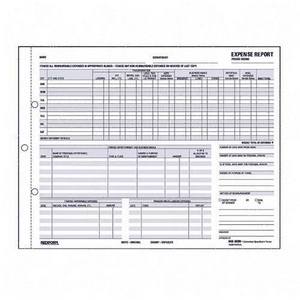 Buy your carbonless expense report for $8.73.